Southern France is best known for its rolling granite mountains, bountiful farms, underground caves, plenty of heritage, and let's not forget chestnuts and vineyards. Our destination was The Gard and Ardèche, covering Drôme, Gard, Ardèche, Vaucluse Provence, Vallée du Rhône and Cotes du Rhône wine. This autumn, I took the 'slow' travel route with a group of friends, starting with an early morning Eurostar from Ashford International. Within a few hours, we arrived in Lyon and then a further 30 minute train to Valence, picking up a car rental and driving to our first destination, the small village of Uzès. Thanks to a dodgy navigation system, we took an unexpected detour through Montreal, a beautiful village synonymous with this particular area, featuring tiny roads and typically French houses. Continuing to the top of the hill to turn around, we stopped to witness grand views over 36 villages. Sometimes it's worth getting lost. Avoid the hordes in Summer, the best time to visit is May or October and you'll fall in love. Here's my pick of things to do once you're there. Chateau d'Uzer is a 12th century castle with a rich history, now owned by the throughly French Veronique and Eric. Over the last 5 years, they've turned it into a hidden gem of a guesthouse. Five intricately designed guest rooms, each one different to the other, show a couple with a talent for interior design and exceptional taste. The garden room, one of the many wonderful features, was added in 1925. 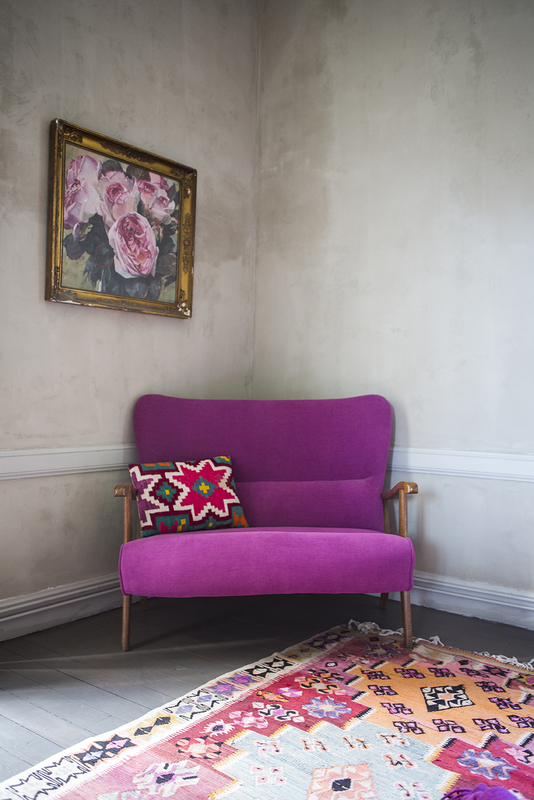 Jutting out the first floor of the house, it has quirky design quips and is a restful place to enjoy a pre-dinner drink. There are no TV's and the only places to receive internet are the main communal areas. For 35 euros, Veronique will rustle up a delicious 3 course dinner (with cheese) and local wine. As much produce as possible comes from their organic garden. What's more, there's an outdoor pool with ample room for decent length swimming and room around it for sunbathing in the summer months. Eric took great pride in showing us the cinema room they'd built too. The couple are involved in the local art scene and regularly change the paintings in the hotel, plus they host cultural evenings. It's a brilliant price, starting at 150 euros per night and worth coming to this little town just to spend the night here. WYLDE SAYS: If you like a room with a bathroom, ask for the Suite Zephir, complete with a roll top bath, although not a shower. If you'd prefer a balcony, then ask for the Chambre du Grand Salon, which has a gorgeous outside area overlooking the gardens. I came back laden with honeycomb, olive oil, dried girolles and goats cheese, ready for my Friday night dinner guest back home. One of the best things to do here is explore the local area by taking a horse and cart. Emmanuel Pédeneau was our competent horse wrangler, taking us on an autumnal jaunt through vineyards and farms. Wine harvest was early in France this year, due to lack of rainfall but it was glorious to see the bright russets and coppers of the vineyards. 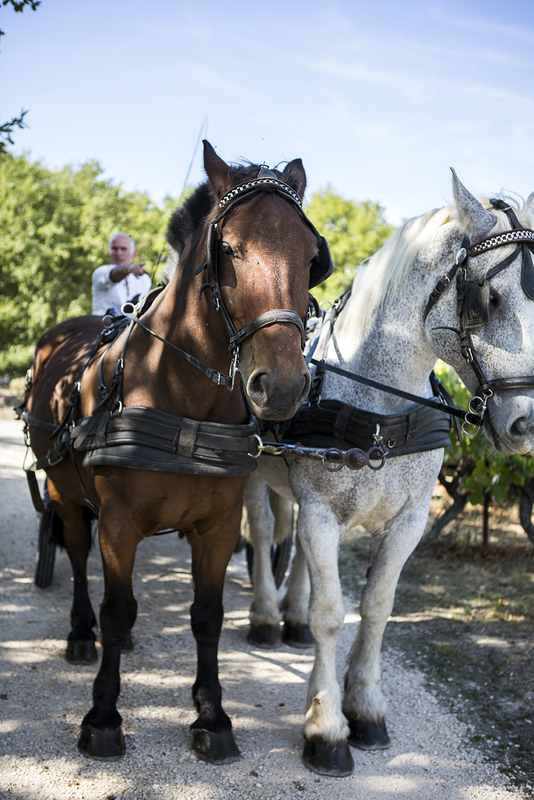 The cart ride took us out to AOC Duche d'Uzès and the vineyard of Domaine Les Lys, where they're confident that 2017 will have been a good year for their crop. Over a delicious gastronomic lunch on their covered terrace (including a hazelnut macaroon dusted with the finest copper sprinkle, a mini lime meringue tart and a Paris Brest which deserves a mention), I tried a delicious slightly oaked Chardonnay, a 100% Syrah blend that was like drinking a soft alcoholic berry juice and a 100% Grenache. Suitably full, slightly tipsy and tired from the heat of the midday sun we jumped back in the carriage back to the farm. 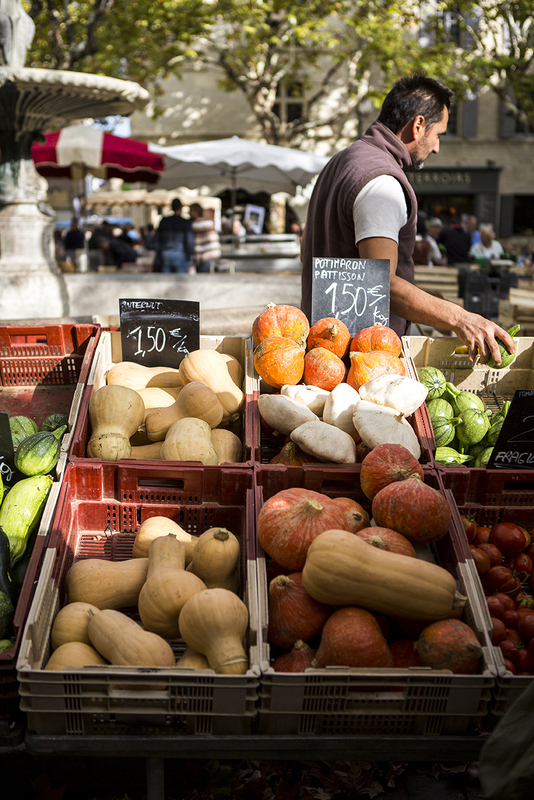 We all left Uzès wanting to come back for the quaint peacefulness and authentic French vibe. 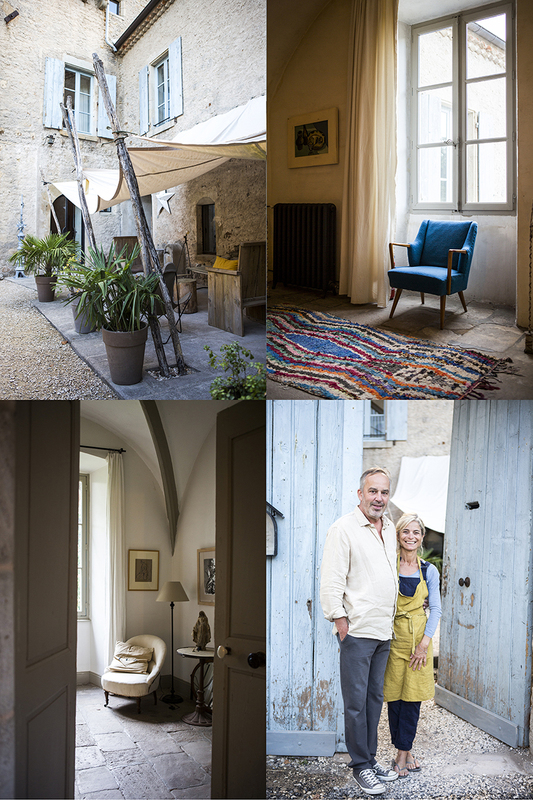 WYLDE SAYS: One night in Uzès isn't enough, but it's perfect for a long weekend. Book into L'Hotel Entraigues, which is a great little base at an affordable price. 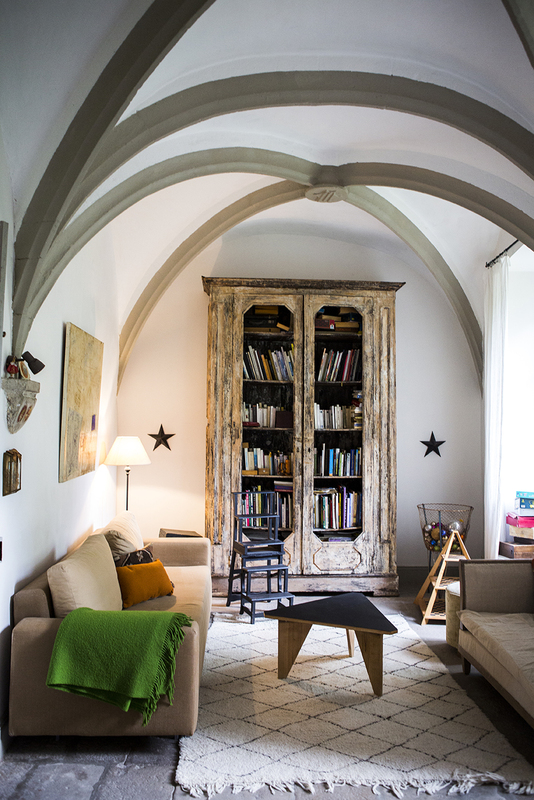 It has a cute swimming pool (accessible from room 104, in case you want to take a dip straight out of your room) and a small but effective roof terrace with views out to the cathedral opposite. If you love buying food at markets, remember to bring zip-lock bags to stop the pong of goats cheese stinking the train carriage out on the way home! The drive across the gorges of Ardèche is stunning and amongst some of the best road journeys I've taken for views alone. Knowing there are also over 2,000 caves under these gorges is quite humbling. If you'd have told me by the end of this trip that I'd have gone caving, into what I consider being the deepest depths of the earth wearing a boiler suit and head torch as my only source of light, I'd have told you to get out of town. Instead, I found myself conquering my fear of the dark and confined spaces for the sake of wine! Actually, it was great to face this fear and was also a bonding experience with those you share the experience with. Accompanied by master caver Nicolas Bransolle and winemaker Raphael Pommier of Notre Dame de Cousignac vineyard, we were guided into the depth of La Grotte de St Marcel d'Ardèche for a couple of hours in pitch black. Losing all sense of sight, we stoped for a wine tasting, the idea being that by losing sight, your other senses come alive. I'm not sure it worked for me as my imagination runs riot in the dark, but the rest of the group enjoyed it. What's more, the 'expedition' involved a zip wire across the caves and a tightrope walk with just our torchlight on our hats for vision. It was one of the most terrifying things I've ever done. At the time, I hated it but I felt a big sense of achievement afterwards. Keeping to the caving theme, and one that's nowhere near as taxing, is a visit to the Pont d'Arc Cavern and the Chauvet Cave, a UNESCO heritage site showcasing the first known art dating back 36,000 years. Although, for conservation reasons, the original site isn't accessible to the public, there's an exact replica very near to the original. Viewing the impressive cave art created by our ancestors from the Ice Age is quite overwhelming and an unforgettable experience. WYLDE SAYS: As with everywhere in France, the main tourist attractions are throughly mobbed during the summer months. The best time to see the Pont D'Arc/Chauvet Cave is out of season. October is a great time to visit, when it's not as hot and crowded. Tours are guided with headphones but an unguided visit can be arranged in the evening; a good way to view the cave art at a more leisurely pace. A stop off at Auberge la Farigoule in Bidon for the local dish of Brouffado is a must. A hearty meal of slow-cooked beef with capers and anchovies, accompanied by an earthy potato gratin with ceps, washed down with a local beer flavoured with chestnut flower and honey, is the perfect way to refuel. Perched on the side of a popular cycling route, locals take a leisurely lunch on the terrace overlooking a vast vineyard. As part of the Bistrot de Pays initiative, a collection of restaurants dedicated to only using local produce, I was suitably full and happy, knowing my food was from local farms. WYLDE SAYS: For a guaranteed dining experience in this area, seek out a restaurant that's part of the Bistrot de Pays initiative, a collection of restaurants dedicated to only using local produce, you're guaranteed good food and produce here. Just a 30 minute drive from Uzès is Remoulins, also a stone's throw away from the Pont du Gard, the UNESCO Roman-built viaduct. We hired some electric bikes (to help with some of the hill climbs) from a place near to the river and took a guided tour through the area, up to the beautiful mediaeval village of Castillon, built using honey coloured stone, complete with the regulatory winding cobbled roads. We caught our breath at the Hotel Le Vieux Castillon, and from the poolside terrace, took a drink overlooking the Remoulins. We cycled over rugged rocks – a little too advanced for me – so swiftly made haste for the road after viewing the Pont du Gard from a distance. For a small entrance fee, visitors can spend all day amongst the landscape, bathing in the river, lunching in the restaurant and soaking up the atmosphere. Top tip: For electric cycling try and bring some padded shorts, as the seats are quite uncomfortable especially when going over uneven ground. Last admission for the Pont du Gard is 6pm but when you're in, you're in. Bring a picnic and watch the sunset through the arches along the river. Stay into the night, if you like. The Pont is also very busy in the summer, so the best time to visit is out of season, in Autumn or Spring. Our final night was spent in Nîmes, checking into the Aparthotel, right next to the train station, so we could maximise our time here as much as possible. Restaurant Vincent Croizard is one of the best in the area. Entrance is through a small door in a house with no front windows; the discreet entrance giving it the exclusive feeling of a private club. Service is spectacular, food is special. We were served a soft steak tartare, followed by red mullet cooked in a bouillabaisse, with beans and chorizo; delicate with a hint of warming spice. The main dish of fillet of beef was cooked to perfection, with umami flavours coming from the girolles and shiitake mushrooms. Dining here is a slow experience, best reserved for special occasions and a great way to finish off a visit to the South of France. Voyages-sncf.com - Fares from London to Valence start at £111 standard class return. All fares are per person and subject to availability. For bookings visit www.voyages-sncf.com or call 0844 848 5848.